As last essay focused on regime change and Russian interest in controlling/ influencing Ukrainian politics it grazed therefore the bloody Maidan revolution; many civilians payed with their life for the violent forced regime change. Triggering as outlined the annexation of Crimea and the war in Eastern Ukraine between Pro-Russian separatists and the Ukrainian rebel army. Moreover it comprised sanctions being imposed from the West on Russia to restrict its economy as consequence. However in my last major blog post for the Proseminar “Russian Foreign Policy” I focus less on intrastate or interstate conflicts. Instead I want to focus on the economy. Freely after the famous saying: “It´s the economy, stupid!”, international political economy plays more frequently an increasing role. The sanctions imposed on Russia inflicted serious harm to the Russian economy and have been recently prolonged until the Minsk peace agreement is adhered to. But the non-compliance goes hand in hand with a relapse into combat between the two parties in the East. It is possible that the conflict will develop into a frozen conflict or finally find its end after peaceful de-escalation. Not knowing when the sanctions will be lifted, because uncertainty to tell the outcome whether frozen conflict or peaceful de-escalation will be the case, I ask the question: Are the BRICS an alternative to the American global dominance or is it the card to save Russia’s last failures? I introduce first the BRIC states and then show the historic background of the new term BRICS that has been created after South Africa has been added to the group. The focus of the individual presentation of the BRIC member states will be on trade relevance data. Therefore we compare in terms of power: economic power and available human resources within the acronym and in relation to the United States. I depict economic power by looking at the GDP 2014, GDP growth 2014, the GDP growth mean (2004-2014) and the most important domestic export product´s market share of total export. Human capital remains another important economic indicator as it refers to the countries means of production and market size. After I raised more awareness for the individual future potential that BRIC countries have I turn towards the still very young background of the BRICS and end the historic overview with the first sign of institutionalization in 2014. In the next part I will address the research question directly arguing two sides based on trade relevant data and further information that has been provided in the first section of the essay. Concluding I answer the research question taking into accord the economic relevant points. At the beginning the BRIC states were a formation of states with considerable rapid growth rates of GDP. Brazil, Russia, India and China are the four developmental countries that hide behind the term BRIC. In 2010 South Africa was first invited to join formal meetings and then pushed to join from China and added the S to the BRIC. Lets look at the BRIC states more closely. Brazil has experienced until recently a decade of rapid development and growth according to data from the World Bank nearly 26 million of people were lifted out of poverty and inequality was reduced significantly. But since 2013 the economy and reduction of poverty is more or less stagnant. 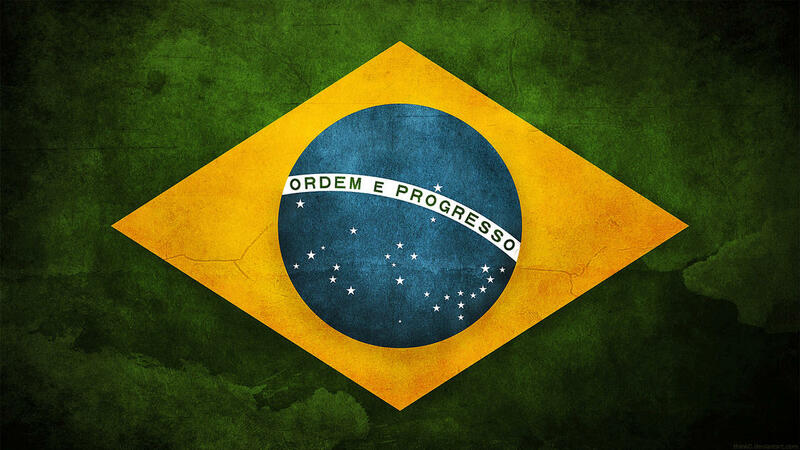 In terms of human capital Brazil has a relative large population of 206.1 million citizens (World Bank d 2015). Russia as already pointed out in the instruction faces an economic harsh time as the economy continues to adjust to the 2014 terms-of-trade shock amid a tense geopolitical context marked by ongoing international sanctions. Vital to Russia´s economic advancement in the recent decade was the capitalization of its strong oil industry, but oil prices remain low due to means of production that exceed markets needs. Its GDP growth is written for 2015 in red ink cause by unfavorably conditions marking deficit of 2.7%. India has large scale potential with its massive population of 1.26 billion as it has recently brought about a landmark agricultural revolution that transformed the agricultural sector from grain importer to a global powerhouse for food exports. Urbanization is one of the key words that is driving force of further development and a skillful, vibrant youth emerges that seeks opportunities and employment. As India still experiences rapid growth its voice in world politics seeks more influence (World Bank c 2015). China remains the first among equals when looking at the BRIC states more closely. Continuous rapid economic and social growth changed the state´s structures and lifted more than 500 million people out of poverty. All Millennium Development Goals have been reached or are close (World Bank a 2015). Experts predict that China will be able to challenge the United States leading role in world politics in terms of economic might by 2030. Nevertheless, a social gap between the equal distribution of wealth has to be overcome to reduce poverty efficiently and it remains to be seen how China´s market function with less active-practiced protectionism. Compared to the United States, there is a incredible large gap still in GDP, but also the fair distribution of income is higher in the US and a “high” quality of life shows up in wages and other social and public goods available. On average an employee is payed around 26$ an hour in US and 1-4$ an hour in China and India. Those favorable domestic production conditions (states perspective) obviously contribute to the rapid growth of the emerging developmental economies. Follow this link to see a comparison between the BRICS giant China and the United States. At the beginning BRIC was not more as a term, giving 4 developmental countries a name. A nearby comparison obviously reaches out to the Asian Tiger states that experienced high level of economic growth since the 1960s, fueled by exports and rapid industrialization, which enabled Taiwan, Singapore, South Korea and Hong- Kong to become members of the world richest states. Surprisingly, in 2009 the members of the term BRIC had their first official summit and have been meeting annually ever since. Their meetings are to foster trade, security cooperation and cultural cooperation. However despite the greater goals of working more together and to pull with combined strength in the same direction BRIC members did not agree on multilateral trade agreements. The annual meeting therefore resembles an annual common expression to look into possible new forms of cooperation that have not been exploited yet. In 2010 China invited South Africa to join the loose meetings of the BRIC states. South Africa becoming regular attendant added the S of BRICS. Some people question South Africa´s appearance in the BRICS group, but when looking at the countries natural resources (gold and diamonds) and its infrastructure that is not troubled with typical African issues such as intrastate conflicts, economic inequality, poverty and unemployment South Africa´s qualifications already begin to shine through. South Africa is the voice of the continent at various international forums. But most importantly it is poised to serve as a base as well as a gateway for investment from the BRICS countries to the vast market of a billion Africans (House 2012). The new term did not imply any other changes. The BRICS have bilateral relations conducted on the basis of no zero-sum game; a so-called “win-win” situation is the most preferred outcome. Non-interference in domestic affairs and cooperation remain crucial to BRICS as well. With South Africa the BRICS states combine for 42% of the world population, 30,1% of the world´s GDP and for 29% of the global territory. Russia controls the world´s largest land mass. India and China account for the two largest accumulation of human capital. Within BRICS China is the by far the most powerful nation. In 2011 BRICS established a “Forum” as organizational body that structures summits. The meeting aims at the reformation of the economic situation within member countries. For instance China has shifted from a central planned to a market based economy, but recently the new government reversed some of the former Deng Xiaoping´s policies. One example is the adoption of loose monetary policy, which led to a formation of a property bubble in which property prices tripled. Another point is that China needs new economic reforms to nourish more “national champions” (industries that can compete with other large global players). Other meeting- targets are reassessment of financial institutions and to discuss how the countries could cooperate better in the future. Especially China is not happy with the allocation of seat in the IMF, as its economic power is not transferred accordingly. But India as well seeks more influence on the international stage and wants to become member of the UN Security Council. Interestingly, China belongs to the countries that blocks further Indian advance. 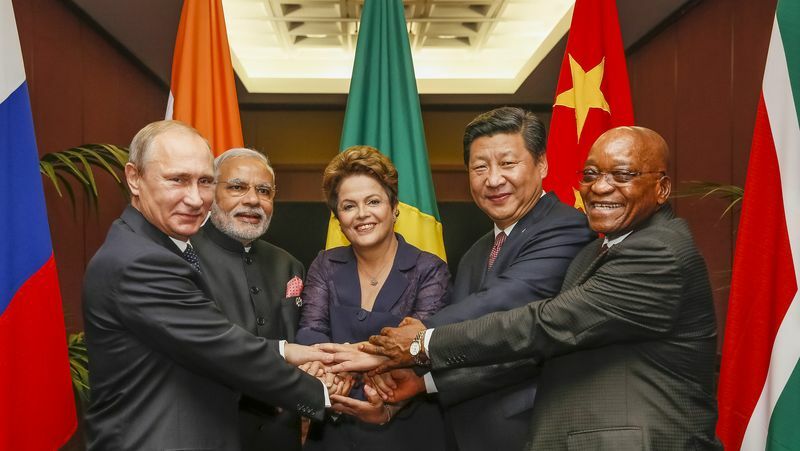 Showing again that BRICS are not acting as combined as the photo opportunities for the national leader picture it. After years of summits BRICS took a first step in more cooperation in 2014 the New Developmental Bank (NDB) was created aiming at more independence to projects of Western institutions. The New Development Bank is the first multilateral institution aiming to stem resources for sustainable projects within and without BRICS (Pal Singh Sidu 2015). The support of money is controversy to World Bank loans not attached to strings, such as democratization. The institution is the first personification and multilateral agreement under still mostly bilateral relatives. As we have seen the still very young history of BRICS and the picture of past rapid economic growth, but currently only China´s and India´s economy still grow, we should turn to the leading question: Are the BRICS an alternative to the American global dominance or is it the card to save Russia’s last failures? BRICS are fast emerging economies if Russia and Brazil get back on track. They combine an accumulation of countries with considerable large human capital, especially India and China. Moreover they have the fastest growing GDP rates. Experts predict that the growth will continue as countries more and more industrialize. On top as soon as the national protectionism produced enough companies that can compete South Africa opens the domain for goods to enter the African market. It has been discussed that Nigeria will change BRICS into BRINCS adding another western port to Africa. However, BRICS summits are currently just a platform for discussion. It is a misleading mind association that pops up that behind the acronym stands a full- fledged alliance. In reality BRICS is not an alliance. They merely make statements and cooperate on bilateral basis. Nevertheless, BRICS have together invested 100$ billion in the erection of a first multilateral institution. Opening the stage for projects of BRICS without western restrictions to financial support attached. Press pictures the New Developmental Bank as set up to rival heavily western influenced institutions such as the World Bank and the IMF. But BRICS repeatedly stated that they do not want to rival western institutions. As showed above for instance China just wants a fairer allocation of seats in the IMF. Therefore BRICS donated $75 billion to IMF in 2012, if IMF reformed. On top the budget of the New Developmental Bank so far is peanuts compared to the already existing monetary institutions. The capital for the NDB equals $100 billion and the capital of the IMF equals $1237 billion. BRICS are supporting each other in statements. For example they released statements criticizing the sanctions against Russia, claiming that a solution should be negotiated peacefully. However, BRICS do not get along as well as they claim. Security and Trade disputes and other dissimilarities hold up further institutionalization. China blocks India´s attempt to become UN Security Council member. All together the face behind the mask does not look as marvelous as expected. When talking about BRICS it is always about China being the first among equals. Bilateral trade between BRICS happens mostly with China being one bilateral partner on the other end. For instance Russia Chinese trade has more than tripled since 2003. Even if China will take over the world´s lead of GDP still decades of growth needed before combined GDP of BRICS is that of West (United States + European Union). When looking at Russian trade data it becomes clear that BRICS are currently not a solution to quickly fix Russia´s last failures and let the wounds look like tiny scratches. 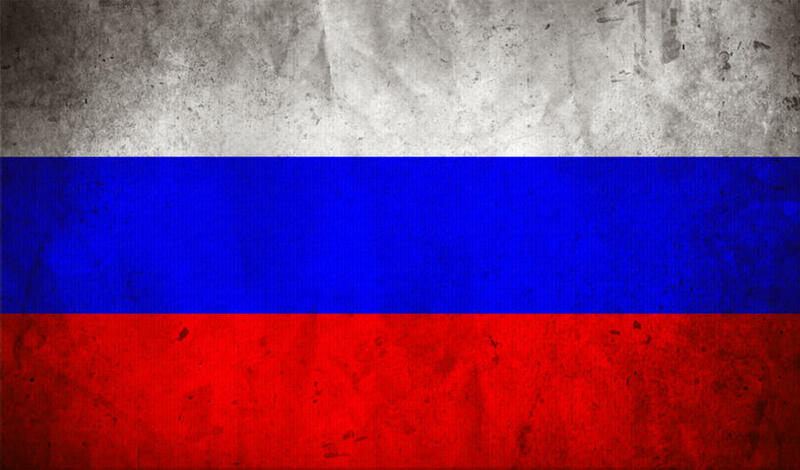 Sanctions hit the economy badly as Russia´s petroleum economy is directed to Europe. Even the pipeline project Turkish Stream that stands for one of the few optional not western oil trade possibilities is possibly shut down after recent escalation over the take down of a Russian Jet by Turkish authorities. Total Russia – EU trade (2014) in figures remain comparable high with €284.583 million, even though Russia – EU trade dropped compared with data from pre-sanction-years. In comparison Russia – China trade makes up for $95.300 million and the other still economical growing BRICS member India makes up for only $9,510 million. Therefore it can be said that trade with the West stands for the vast majority of Russian trade. The heavily on petroleum dependent Russian economy has not even the pipeline requirements to trade more with south boarder countries like China. I demonstrated that BRICS are neither in the short run an alternative to American global dominance, nor are BRICS the card that is going to save Russia´s last failures. I have shown that it is unlikely that BRICS will replace the West as economic possible partner at the moment. BRICS remain regarding their future perspective interesting trade partners. American global dominance will continue as BRICS themselves do not want to replace/challenge existing institutions but rather want a new allocation of power within existing institutions. In the long run, according to the World Bank, India and China will be the largest economies in the world. BRICS should eventually become an alternative to American global dominance and economically more important to Russia than the West. Until then time will pass and economics are exposed to government decisions. Oil peak has been reached and depleted soil and natural resources will change the chain of production. Therefore poor governance could hinder sustainable growth and jam BRICS attempts to shape the institutions that arose of the Bretton Woods System in their favor. Previous Post What are the Russian interests in influencing/controlling the Ukrainian politics? Hey, I really liked your short historic overview of BRIC and BRICS and especially how you visually showed what different states bring into this rather lose partnership and how South Africa that was not originally included in the term fits into the scheme. The short comparison of resources to the US helps understand further points and the conclusion better as well. Telling how BRICS work together, their way of supporting each other, but also showing that (naturally) there are conflicts going on between the five was interesting too. Coming to the conclusion that BRICS are not going to be an alternative to the American global dominance I agree. Yes the BRICS countries have a fast growing GDP and industrialization is going well but of course that’s only because they are dragging behind looking at western standards, it’s hard to compare those numbers to countries that have it much harder improving when there is no one really to catch up to and when the ones that could be used to compare are at a rather equal level that you are. Additionally BRICS is just a cobbled together bunch of countries that some scholar thought could be put together some time ago while America if we’re speaking of the US has been a country for hundreds of years and know better how to work together. BRICS have to find their way together around conflicts and different interests with the added challenge of getting to an equal or better level as America. And personally I don’t think it’s their main goal to be an alternative dominator. Your post gives a nice overview of the five different countries within the BRICS and an informative introduction for how the association has developed. I think you have a good point that the term of BRICS as an association could be misunderstood as an alliance. Even they cooperate to gain national benefits, have they still a long way to go to become an alliance. I agree with your arguments, but there is the same time something I would have liked to see you explain better. Your conclusion says that BRICS will not challenge the dominant position of the US. However, you do not explain in what way the US dominates the global economic system today. You are also saying that the “BRICS are supporting each other in statements”. You are right that they have managed to form a coalition behind some international statements, but I don’t think your example with the UN Security Council is correct. They do not agree in questions about the security council, as you write later in the same paragraph are China blocking the attempt from India. Russia and China as permanent members have no interest in a reform of UN which possibly can challenge their veto-power. Good to have such attentive readers! Seems like I ve been in a rush and didn´t double tap before uploading, as you find that I wrote later on China blocks India´s attempt… ll correct it so there is no confusion for other readers! Thanks! I totally agree with Xartmut. The historic overview of BRIC and BRICS is really informative and interesting. Great job and interesting observations!